Dozens of people are still missing, a monitor and correspondents say. Idlib is the last major rebel-held area, and is expected to be the next target for Syrian armed forces. In recent months, the Syrian government, backed by Russia and Iran, has made major advances in its offensive against a number of rebel and jihadist groups across Syria. On Sunday, rescuers in Sarmada used bulldozers to remove the rubble and pull out trapped people, an AFP correspondent in the town near the Turkish border reported. 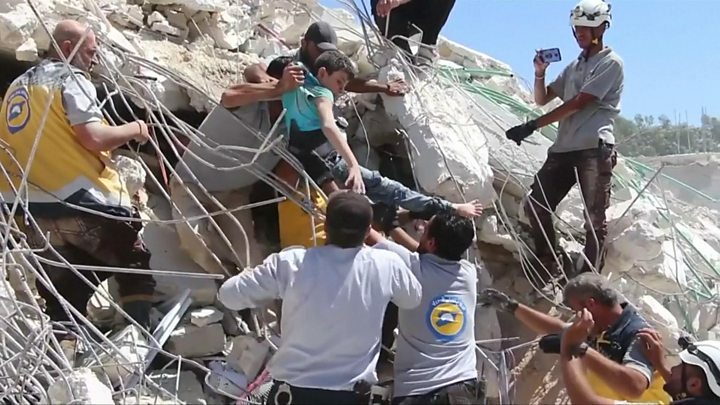 Hatem Abu Marwan, a member of the Idlib civil defence team, said that “buildings full of civilians were reduced to rubble”, the news agency said. 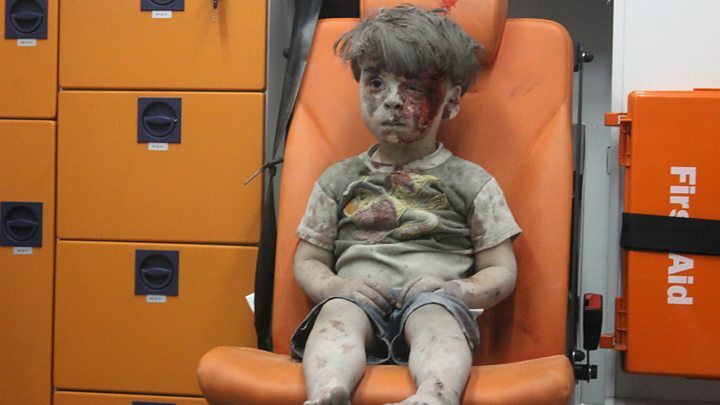 Meanwhile, the UK-based Syrian Observatory for Human Rights (SOHR) said that there were still dozens of people missing. Some reports suggest the number killed could be higher. Most of those in the building are believed to have belonged to the families of jihadist fighters who have taken refuge in Idlib after being driven out of other areas of Syria.